ACTEA Mission is one of the new consoles developed by GESAB within the Acta Series. It is a console created to convince, with a dynamic that leaves its mark and turns users into protagonists. 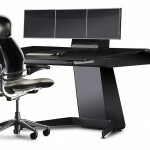 The new console has a rear technical compartment that can be configured in 3 sizes: small, medium and large. These three options enable us to play with the space, depending on the amount of equipment that needs to be stored in its interior. Thanks to the Accessrail Mission solution, we can have full access to the settings of the audio-visual area from the operator’s station. The vertical column system enables the optimal integration of equipment and wiring. 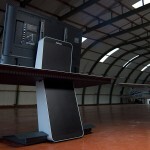 A console designed to optimise the space available to the max. The design of its structure enables the elements it comprises between the upper and lower part to connect to each other in a simple manner. The Smart Consoles philosophy enabled the creation of a unique user experience by situating people in the centre and developing tailor-made solutions. Technology integrated into the console that facilities the operator’s work, such as a wireless charger, the sit and stand elevation system, security led systems and with almost countless more options. Thinking about ergonomics as a must within the design of all its consoles, solutions and projects, ACTEA Mission has the Sit & stand system. 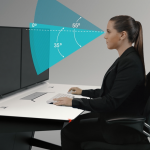 This integrated elevation system enables the operator to work at double height, alternating seated sessions with more active work while standing. A tool to battle a sedentary lifestyle in these types of work environments by fostering activity and improving people’s health. 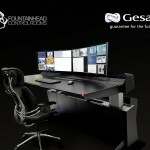 DeskWall, the KVM system developed by GESAB was established as the perfect complement to creating the definitive operator station. A system that enables the management, administration and control of equipment and data sources through a single keyboard and mouse. 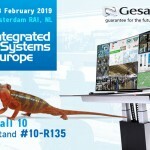 GESAB has created a new work philosophy that gives the operator the ability to generate, with absolute flexibility, a display space of up to 12 Kh where they can organise all their information sources. 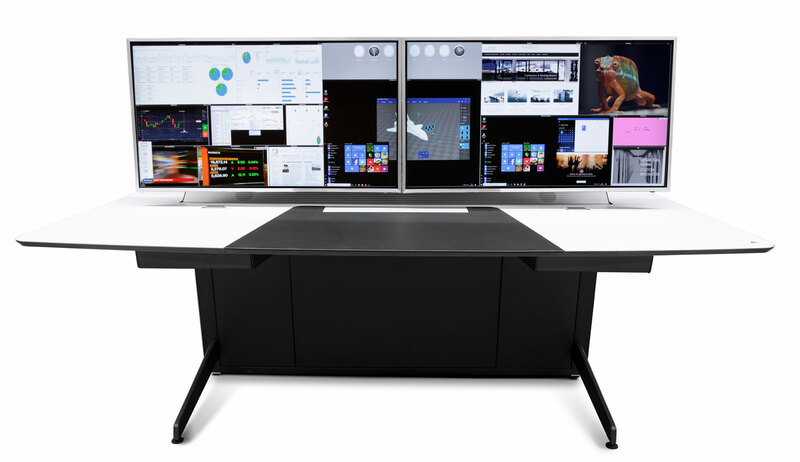 The new ACTEA Mission, together with the new KVM DeskWall dynamic system, make the perfect tandem to create an operator station with the best benefits.